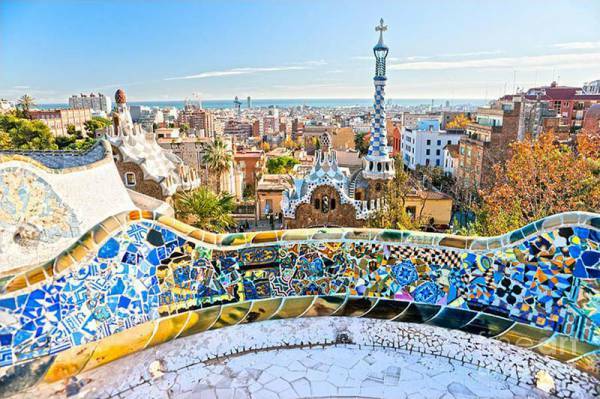 Barcelona is not only the gorgeous Catalan capital, it also boasts breathtaking beaches, Gaudi’s striking legacy within his compelling architecture, a wonderful array of shopping, and delicious dining, all while encompassing you in its strong cultured atmosphere. As an action packed city on a human scale, Barcelona makes for an incredible destination. Whether you’re an acquainted local or a first time visitor, the beaches of Barcelona will marvel you. With the clear, blue Mediterranean and the city’s enjoyable heat, a day at the beach is bound to bring nothing but fun. With plenty of space, as more than four kilometers of beach is presented, you can lounge around, get active with beach volley ball, or run in for a swim. They’re also surrounded by a diverse selection of food and lively beachfront bars and clubs for an exhilarating experience. Barcelona’s glorious beaches are certainly one of its best attributes. One of Barcelona’s most fascinating features is Antoni Gaudi and the captivating legacy he left behind within his work. His work was highly influenced by nature, religion, and architecture. His designs are unmistakable as ceramics, stained glass, wrought ironwork, and carpentry are common characteristics. His work includes but aren’t limited to La Pedrera, Parc Güell, Casa Batlló, and La Sagrada Familia. La Sagrada Familia, Gaudi’s great church, was his biggest dream and obsession. He spent forty-three years planning and constructing it, and today the work still continues as modern architects follow the plans Gaudi left behind. Despite your personal interests, you are going to be speechless once you discover the glorious modernist designs this ingenious man left behind. Barcelona has one of the best shopping environments the world has to offer. As it contains many large international brands, it also is overloaded with smaller shops that are more unique to the area. It contains over 35,000 shops, making it the perfect destination for someone seeking some excellent shopping. As home to Europe’s largest shopping axis, it offers five kilometers of shop after shop after shop, ranging from shoes and clothes to cakes and jewelry. Once you note the enjoyable price difference, it is easy to go a little wild with buying. Currently, Barcelona is home to over 10,000 food establishments. A large amount of dining options are available as well as a large amount of diversity. From the traditional paella and glorious jamòn, to the delicious pastries and tapas, Spanish food presents many options for many tastes and preferences. As dining and eating remains a very important part of their culture, the capital of Catalonia puts forth a vast range of cuisine. Overall, Barcelona has such alluring facets that can appeal to a large assortment of people making it an easy place to visit. It really can be such a different experience for each individual depending on your interests, there is going to be at least one feature that completely draws you in. Seeing all Barcelona has to offer is entangling, making it even easier to fall in love with the remarkable city in person. Photo credits: Barcelona 4 seasons, Barcelona photo blog, travefy.com, Cocineo, Historvius, Jonathan Medd, La Pedrera, Libreria gastronómica, Loca Barcelona, Montjuic Castle, Rares Pulbere, Veronica Hansen, Plano Medio, Plaza Real, Suite Life, Tapas Wikipedia, the Guardian. 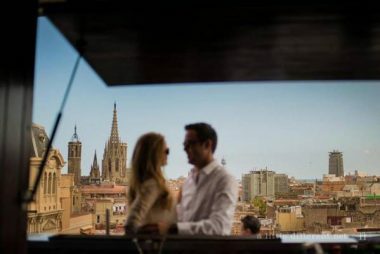 Why not have a Barcelona wedding?